Hacking mails coming from Gaza via German infrastructure, and targets sensitive data from key Israeli organizations. A series of cyber attacks against Israel since mid-2013 appears to be coming from "Arab parties located in the Gaza Strip" and elsewhere, US security researchers say. A research report by Trend Micro said the effort appears to be using "spear phishing" emails with an attachment disguised as a pornographic video, reports AFP. The researchers said in a report released Sunday that this highly targeted campaign dubbed "Arid Viper" is a sort of "smash-and-grab" first seen in the middle of 2013, and which uses network infrastructure located in Germany. The security firm said those behind the scheme are using sophisticated methods with the goal of stealing sensitive data from Israeli-based organizations - government, transport, military and academia and one organization based in Kuwait. effort has been called Operation Advtravel by Trend Micro. "On one hand, we have a sophisticated targeted attack, and on the other a less skilled attack that has all the hallmarks of beginner hackers. So why would these groups be working together?" Trend Micro said in a blog post. 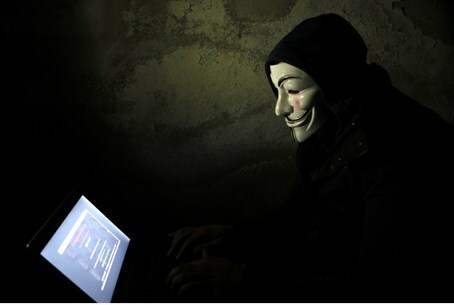 "Our working theory (and subject of continuing investigation) is that there may be an overarching organization or underground community that helps support Arab hackers fight back against perceived enemies of Islam. They may do this by helping set up infrastructures, suggest targets and so on." organizations that would traditionally be considered enemies.